Forget what you've read, forget what you've heard, forget what you've been taught. 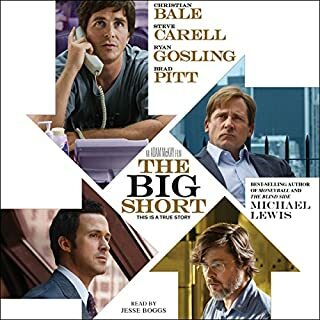 Monkey Business pulls off Wall Street's suspenders and gives the listener the inside skinny on real life at an investment bank, where the promised land is always one more 20-hour workday and another lap dance away. 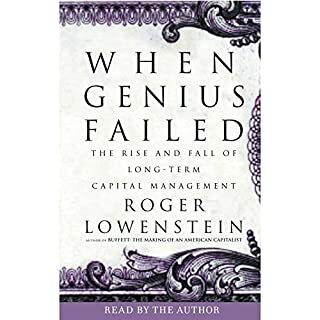 Fresh out of Wharton and Harvard business schools, John Rolfe and Peter Troob ran willingly into the open arms of investment bank giant Donaldson, Lufkin and Jenrette. They escaped with the remnants of their sanity - and, ultimately, this book. 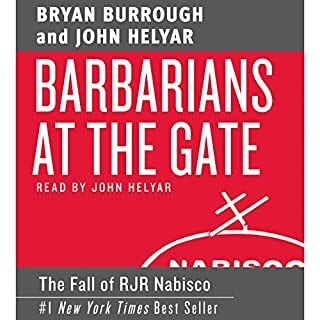 I read (and enjoyed) the original book years ago and I thought that by listening to a summary it would bring back the original. This didn't work, somehow. It just felt a bit frustrating, clichéd, shallow. 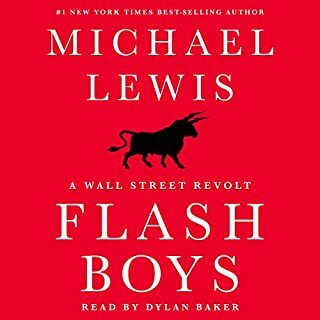 The book is great and I’m a big fan of ML. However it seems to be a short version of the book and I can’t find the full length. A few times loud music starts playing over the voice and it is almost impossible to hear the book. Abridged version is inferior to the full one. Abridged version is inferior to the full one. They should release a full version. Slightly disappointed. A frank account and synopsis of life in an investment banking environment. You have to evolve into a certain kind of individual to survive the investment world. This book gives you glimpses into what it takes. No. Just read the book. As great a writer Michael Lewis is, he just hasn't got a voice that you want to listen to for 3hrs. What didn’t you like about Michael Lewis’s performance? Dreary, 'just reading the lines' type oratory. Sounds like a bored man reading a speech from a sheet, instead of a performance. This is a must read for anyone interested in the previaling mindsets within the financial services sector. 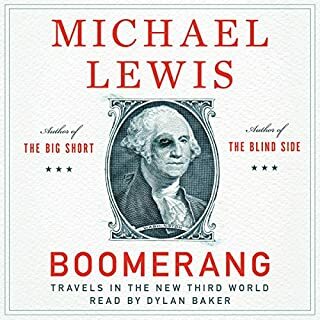 Whilst the focus may be on sales&trading, lewis reveals in great style the universal attributes of financiers, tackling topics from greed to goodwill, he speaks from his own experience and eloquently charts his own personal journey with refreshing honesty. Waste of money I'm afraid. A boring self-indulgent reflection that fails to live up to a fairly exciting sounding title. What did you like most about Liar's Poker? Back in 2002 i read this book, as a paper copy, i must say that was start of my non-fiction reading side. 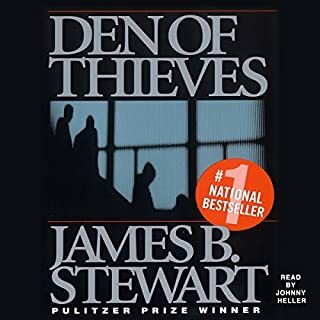 Aftr abt 12 yrs i purchased this book as audible. 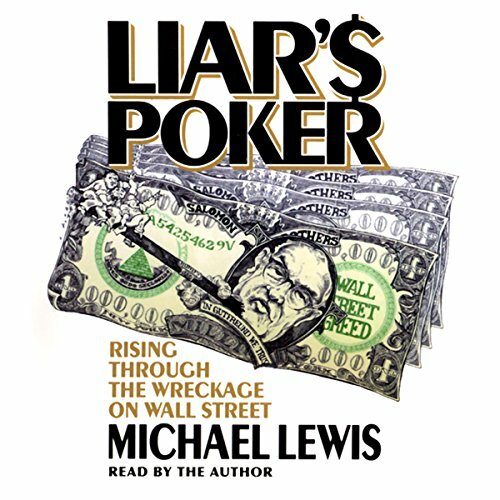 What other book might you compare Liar's Poker to, and why? Recommended and a good read but it’s rather short! Maybe it is a bridged version. great read but a bit short. great read but a bit short would like a bit more info on bond and how to win with them. A good book if you're interested in market history and finding out about Michael's background. I enjoyed it.